If you are looking for a Day Tour with a difference than look no further than the Barefoot Kuata Island Cruise! Cruise through the stunning Mamanuca Islands enroute to the southern end of the Yasawa Islands. Once here, you will have approximately 5 hours ashore to enjoy lunch, walk along the beach, go kayaking, swimming or enjoy excellent snorkelling with good coral and abundant fish life. For the more adventurous, why not snorkel with the sharks! Weather and sea conditions permitting, you will be briefed by expert guides, then be transferred a short while by boat to enjoy just over an hour snorkelling with the sharks! 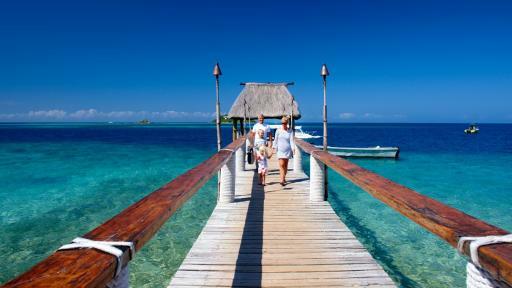 Castaway Island Resort is a popular destination for Fiji travellers. If you don't have time for a full visit this day cruise to Castaway Island Resort is a fantastic alternative. Laze on the beach, snorkel the pristine waters beachside and explore the resort facilities. Lunch and use of snorkelling gear is included to make this a truly memorable day. For a once in a life time experience, this lunch tour is the perfect addition to your itinerary on your next Fiji holiday. Enjoy 360 degree views of the Mamanuca Islands from a floating 2 level platform, a 45 minute boat ride from the marina at Port Denarau. Here you will enjoy snorkelling and swimming and lunch consisting of Italian wood fired pizza. Relax on a day bed or deck chair or head to the bar and enjoy a cocktail or beer. This varied tour showcases the best of Nadi, from the famous Garden of the Sleeping Giant to the legendary landing site of the first Fijians at the seaside village of Viseisei. 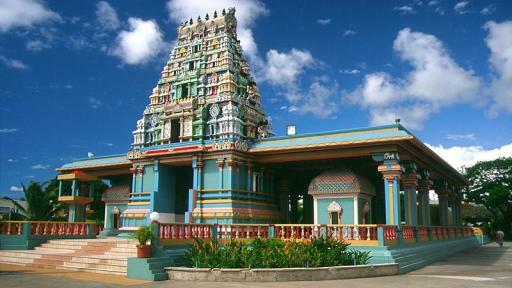 Plenty of photo opportunities await as you visit the largest Hindu temple in the South Pacific and discover the colourful sights and warm local culture of the Nadi markets. 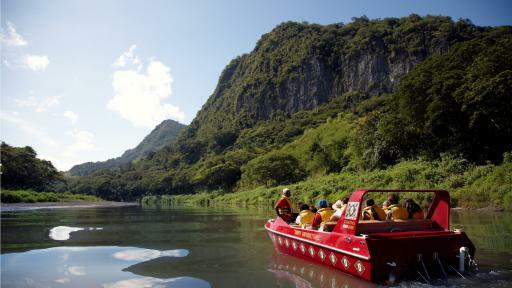 The Discover Nadi Explore West tour is an easy-going Fiji tour taking you through the local Nadi Town area along with a local village tour before finishing up at the Garden of the Sleeping Giant. Highlights include a visit to Veseisei Village and a local school, Sri Siva Subramaniya Temple, Nadi markets & shopping and the flora and fauna of the Garden of the Sleeping Giant. South Sea Cruises offers a great day cruising through the Mamanuca Islands, crossing coral reefs and entering blue lagoons. Enjoy the sun on your skin and the sea breeze in your face from the upper viewing deck of the catamaran or relax in air conditioned comfort. Disembark at Beachcomber Island for lunch, where you can also enjoy the resort facilities, swim in the crystal clear waters, relax by the bar or snorkel off the beach. 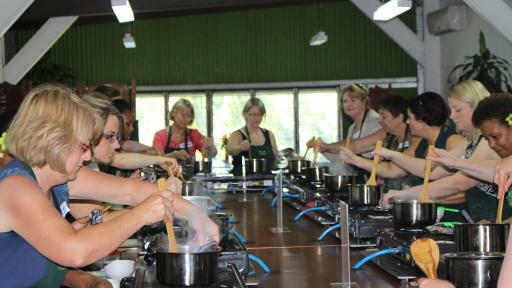 Flavours of Fiji Cooking School is an exciting tour option for those visiting Fiji and the area of Denarau. This three hour cooking class takes you on an adventure through the tastes of Fiji and India, with guided instruction and small class sizes in a modern kitchen. The class includes instruction from local cooks, lunch and take-home recipes. The Half Day Fishing Charter operated by Sea Fiji departs from Port Denarau Marina and heads out to the beautiful Fiji Islands. Keen anglers have the opportunity to reel in all the favourites including Walu and Yelowfin whilst experiencing the beauty of the magnificent Fiji Islands. 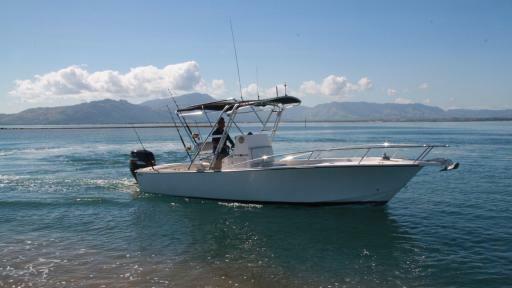 This 4 hour Fiji fishing trip is a perfect addition to your next Fiji holiday itinerary. 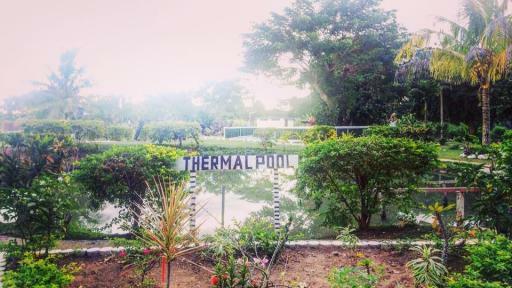 The Hot Springs Thermal Mud Pool takes you to Sabeto Valley with its hot springs and mud pools where the adventurous can experience the geothermal entities of the natural earth. 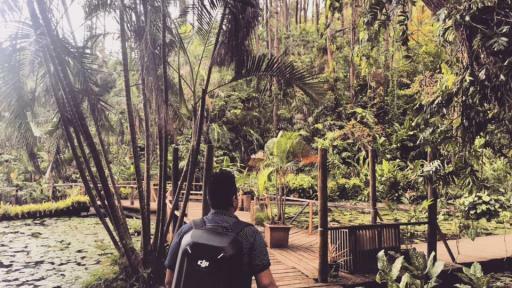 This Fiji tour includes a visit to markets and shopping before a scenic drive to the Sabeto Valley located between Nadi and Lautoka. 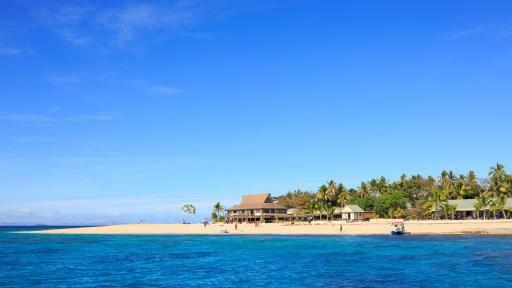 Experience one of the newest and most luxurious facilities in Fiji at Malamala Beach Club. Being the world’s first island Beach Club, your visit to Malamala will be one of complete relaxation where you can unwind poolside or even in your own private cabana with personal butler service and views out to the glistening crystal clear waters of the South Pacific. Kayak or snorkel the shallow waters or share a platter with friends at the on island restaurant, the choice is yours. 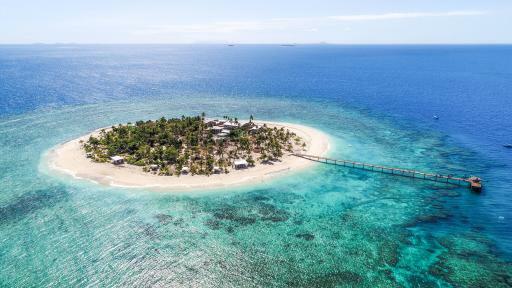 Book a minimum 5 night Denarau or Coral Coast Fiji holiday and receive a bonus day trip to the world’s first island beach club, Malamala Beach Club Fiji. The first beach club in the world to be located on its very own island, Malamala is an exclusive spot to kick back and relax on white sand beaches. 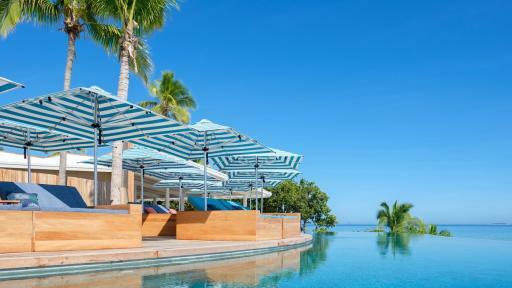 Kick back in a deck chair or plush beanbag and enjoy incredible views of the surrounding islands or snorkel Fiji’s famous crystal clear waters and coral reefs – the choice is yours. 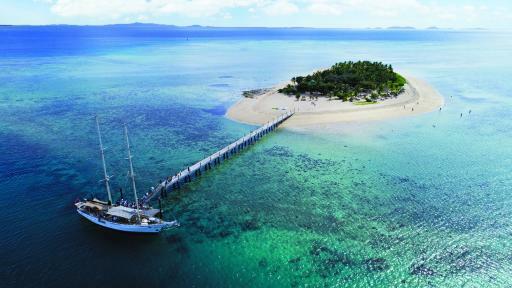 Experience the beautiful Malolo Island Resort on the great day cruise out of Denarau, Fiji. Head out through the Mamanuca Islands to Malolo Island where you can spend the day exploring the resort and enjoy swimming and snorkelling off the beach. 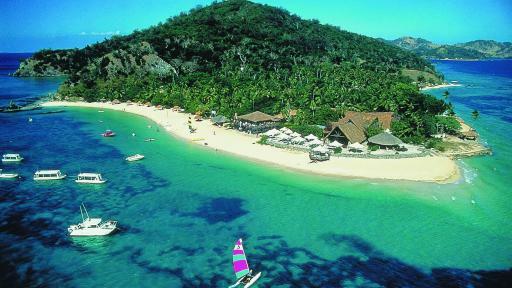 This Fiji tour also includes a 2 course lunch at the resort's restaurant. 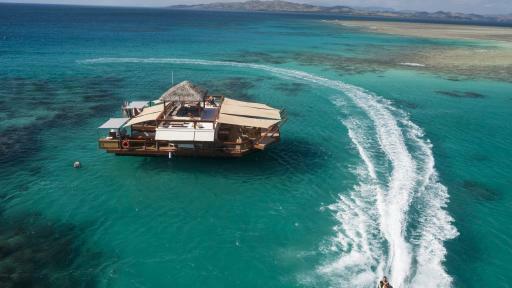 The Malolo Island Fiji Full Day Cruise is a must-do on your next Fiji holiday! This Fiji tour, as its name suggests, offers you an adventurous experience of ziplining at The Sleeping Giant Zipline Adventure Park and thermal mud pools at the Sabeto Valley Hot Springs. 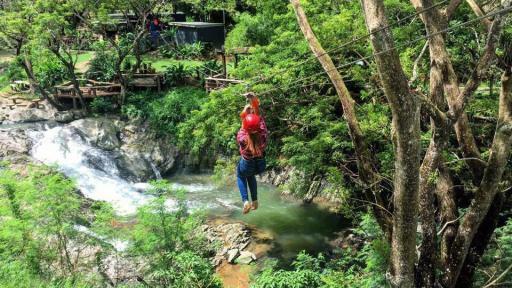 The Nadi Adventure Zipline & Mud Pool tour also includes a visit to Nadi Town with its popular markets, shopping and temple and truly is an exciting day out for your next Fiji holiday. Travel by ATV through beautiful landscapes to the Naihehe Caves, experience a Kava Ceremony, take a dip in a fresh swimming water hole & enjoy a BBQ lunch at the Priest `s house. The Nakabuta Pottery Village tour is a great day out for your next Fiji holiday. This Fiji tour takes you through scenic landscapes along the Coral Coast down the Queen's Highway where you will visit Fiji tour hotspots such as Sri Siva Subramaniya Temple, Momi Gunsite, Sigatoka Town Shopping and Natadola Beach, with the highlight being a stop at the Nakabuta Pottery Village where you will witness the local Fijian ladies working their pottery craft. Your experienced driver/guide will unwrap the cultural and natural aspects of the local area, making it a fantastic day out. 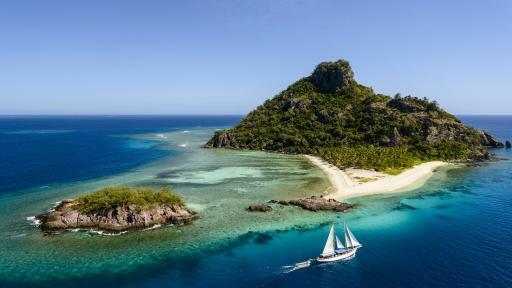 This Fiji cruise is one of the best ways to take in the gorgeous sights of the Fiji islands aboard an 83 foot schooner. Explore the uninhabited island of Modriki with its pristine beaches and fantastic snorkelling and be welcomed to Yanuya with a traditional Kava ceremony before meeting the locals and discovering this charming island village. With morning and afternoon tea, a BBQ lunch and all drinks included this is an excellent value tour and a unique way to experience Fiji's islands. 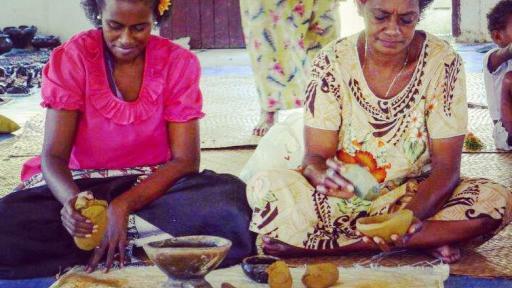 This exciting Sigatoka Safari Tour will have you experiencing what life is like in a Fijian Village, which includes a wonderful lunch made by the women of the village and a kava tasting ceremony, followed by some delightful entertainment. You will travel by Jet Boat and enjoy some thrilling 360 degree spins on your return journey! The Fijian crew warmly welcome you aboard as you cruise the crystal waters and coral reefs of South Sea Island. Ride the semi-submersible vessel under the waves to discover the amazing coral reefs and tropical fish, snorkel, kayak, swim or relax with a massage - the island is yours to enjoy! However you choose to spend your time, a BBQ and salad lunch with unlimited beer, wine and soft drinks are available throughout the day to keep you satisfied. Relax with your loved one onboard Fiji One, and enjoy the beauty of the South Pacific on this Sunset Dinner Cruise with Captain Cook Cruises. Included in the price is complimentary transfers, a welcome drink, BBQ dinner and Fijian entertainment. Thermal Mud Pool is a must do activity. Tailor make your tour and combine this with the Garden of the Sleeping Giant Tour to create your half day tour. 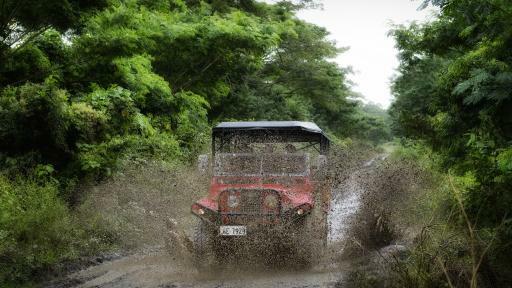 This Fiji tour lets you experience the thermal springs and mud pools in the Sabeto Valley and option to explore the Garden of the Sleeping Giant. The Tivua Island Day Cruise is a fun day out for the whole family! 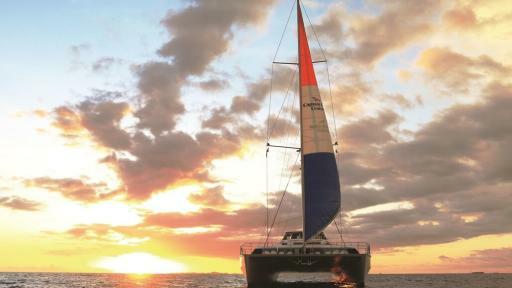 Sail onboard Fiji One, a sailing catamaran or Ra Maramama, a tall ship, bound for the white sandy beach of Tivua Island. 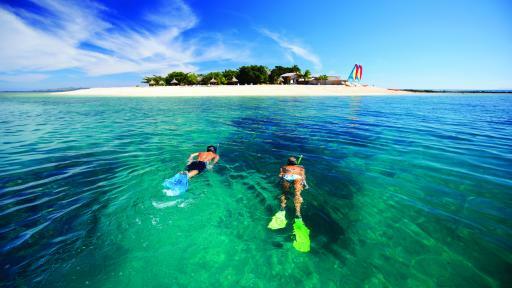 Spend 4 hours paddling kayaks, snorkelling around the abundant coral reefs, or relaxing on the beach. The kids can enjoy the Captain's Kids Club while you take part in a medicine walk or guided snorkelling tour! This great day tour also includes a BBQ lunch, drinks and transfers from Nadi and Coral Coast hotels. 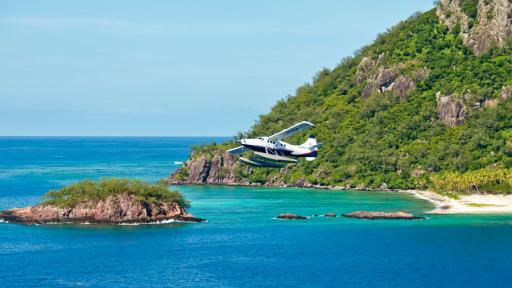 Are you looking to experience the beauty of the Fiji Islands from above? If your answer is yes, Pacific Island Air has a great day tour for you. Departing from Nadi airport, take a short 30 minute scenic flight over the stunning Mamanuca island group, before reaching your destination - Yasawa Island! Spend the day relaxing on white sandy beaches or take the opportunity to snorkel in the crystal clear waters. If you’re looking for a little more adventure, add on a visit Sawa Lau caves. These caves were made famous in the ‘Blue Lagoon’ movie starring Brooke Shields.